MANILA, Philippines — Malacañang on Thursday distanced itself from the proposal of House Speaker Pantaleon Alvarez to cancel the 2019 midterm polls to enable lawmakers to discuss proposals to amend the Constitution. Presidential spokesman Harry Roque said next year's election would push through as long as the 1987 constitution remains in effect. "None. As we have repeatedly said, the president implements our Constitution. Unless the date of the election stated in our constitution is changed, the election in 2019 would push through," Roque said in a press briefing when asked whether Alvarez's proposal had the blessing of Malacañang. "The only possibility (that the elections will not push through) is if the proposed new Constitution is ratified earlier than expected in which case the '87 constitution would cease to have legal effect. But while there is no new Constitution, the president would ensure that there would be an election," he added. Roque said Alvarez does not need to explain his proposal to Malacañang because Congress is an independent branch of government. "And the lawmakers are also aware that the president has the obligation to implement the Constitution and other laws," the presidential spokesman said. Alvarez, a staunch ally of Duterte, has said canceling the midterm elections would allow Congress to focus on bills to amend the Constitution. If the 2019 elections push through, Alvarez said Congress may not be able to muster a quorum for the charter change deliberations because lawmakers would be busy campaigning. The Duterte administration is pushing for a shift to a federal type of government, believing it would address underdevelopment in the countryside, a problem blamed for the rise of insurgency and extremism. Malacañang remains optimistic that a new Constitution would be ratified next year even if some senators said charter change is not a priority of the chamber. "The president has said if it is finally ratified by the people then he will step down. 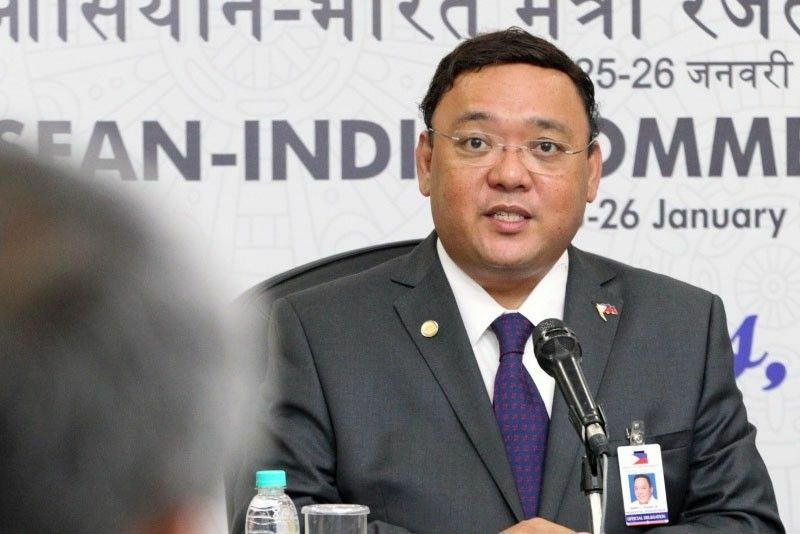 And he is hoping that both the consultative committee and Congress will adapt his suggestion calling for a transitory provision providing that the transition leader will be an elected post," Roque said. Roque said the president has enough allies in the Senate who can convince their colleagues to prioritize the discussions on constitutional amendments. "I think we have a very good working relationship with many of our senators," he said. Roque said the president has not asked senators to fast-track the passage of bills seeking to establish a federal government. "Anyway, the SONA (state of the nation address) will be there. So the SONA will be the proper venue for him to layout his legislative priority, and I’m sure it will include Charter Change," he added. FEDERALISM PRESIDENTIAL SPOKESMAN HARRY ROQUE JR.